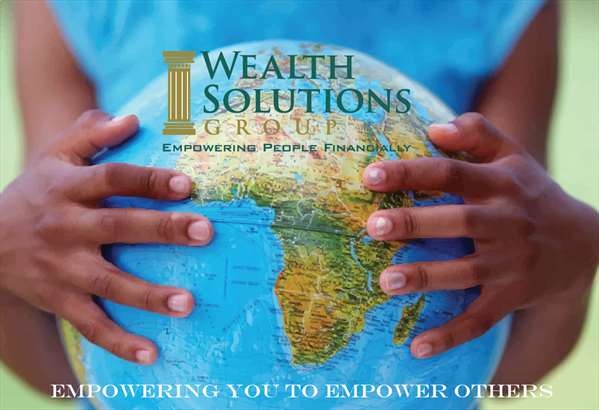 At Wealth Solutions Group we sincerely believe God has called us to do what we do for people, and He has blessed us immeasurably. We work to create a way of life that brings you the freedom to do what the Lord wants you to do, whatever that may entail. Wealth Solutions Group wants to do something extremely unique in the financial planning industry. No longer will we view ourselves as having clients or customers, but as having “Partners”. Valued partners of our community. A community of people who desire to be the best stewards or managers of what they have. We are here to serve you and to empower you financially. Join with us to bring financial clarity to your investment goals. We work with you to increase your investment knowledge and understanding. Our goal is to have informed partners that want to reach a new level of growth both in knowledge and lifestyle. We learn from our partners as we explore with you to find your goals and desires. One question we always ask each partner is Where did you go to high school. DISCLOSURE: The information provided here does not necessarily reflect the opinions of all current or previous clients of WSG Wealth Management.